With an overwhelming amount of blueberries stocked in my fridge, I needed to find a recipe that branched out of my normal yogurt/granola/blueberries all poured in a bowl and smashed into my face with little care for lady-like tendencies. I was feeling the urge to bake something blueberry filled yet less sweet, and this recipe looked too delicious to pass up. With more than twelve hungry taste testers between home&work, I decided to make mini muffins instead of doubling the recipe. Plus, who doesn't love mini things! ...YUM. 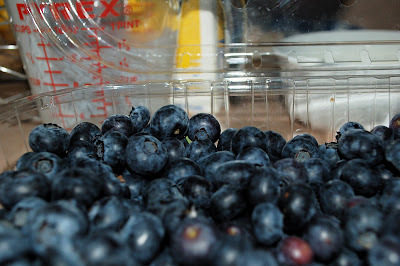 so blue, plump, flavorful, delicious! and finally those lovely blues! Needless to say, they were delicious. --Preheat oven to 400 degrees, with rack in center. Lightly coat a standard muffin tin with cooking spray. --In a medium bowl, whisk together flour, cornmeal, granulated sugar, baking powder, baking soda, cinnamon&salt. 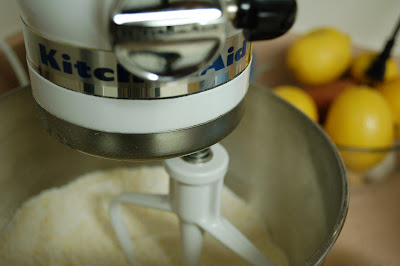 --In a small bowl, whisk together buttermilk, egg yolks, and butter. 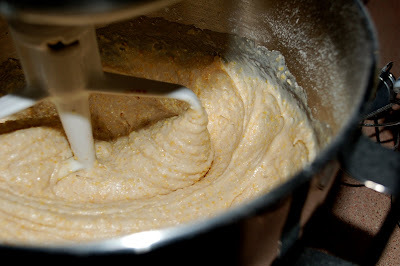 Stir buttermilk mixture into flour until just blended. 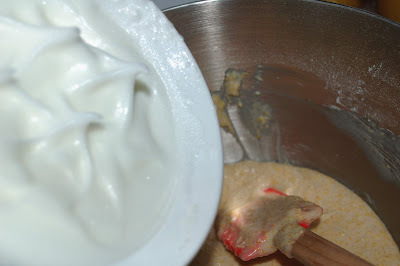 --In a mixing bowl, whisk the egg whites until just stiff. 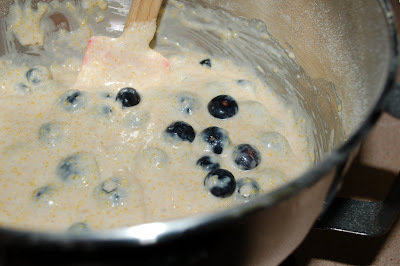 Gently fold whites and blueberries into the batter until just combined. --Spoon batter into prepared muffin tin, filling each cup three-quarters full. Bake 12 minutes. --Remove from oven; gently brush tops with buttermilk, and sprinkle with sanding sugar, if desired. --Continue baking until tops are golden and a cake tester inserted in a muffin center comes out clean, 6 to 8 minutes more. --Let muffins cool slightly, about 10 minutes, before turning out of tin.